Carpet Cleaning Earlsfield, Wimbledon, Putney. | Straker Cleaning. Curtains can be cleaned insitu or removed to our workshop for 'dry cleaning'. Insitu cleaning is ideal for maintenance cleaning and where curtains need to be in place at all times. Curtains removed to our workshop are solvent cleaned, pressed, rehung and then steam dressed. 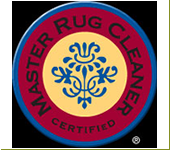 Rugs are removed to the workshop for plant cleaning as some spotting chemicals, fringe oxidising and turbo drying treatments are not suitable for the household environment. Cleaning at your premises can be done at your specific request. Mattresses & Pillows are thoroughly vacuumed using Hunter vacs with Hepa filters for allergy cleaning and then treated to eliminate allergens. You will be supplied with a sealed plastic bag containing the removed soil, so you can see "who you have been sharing your bed with"